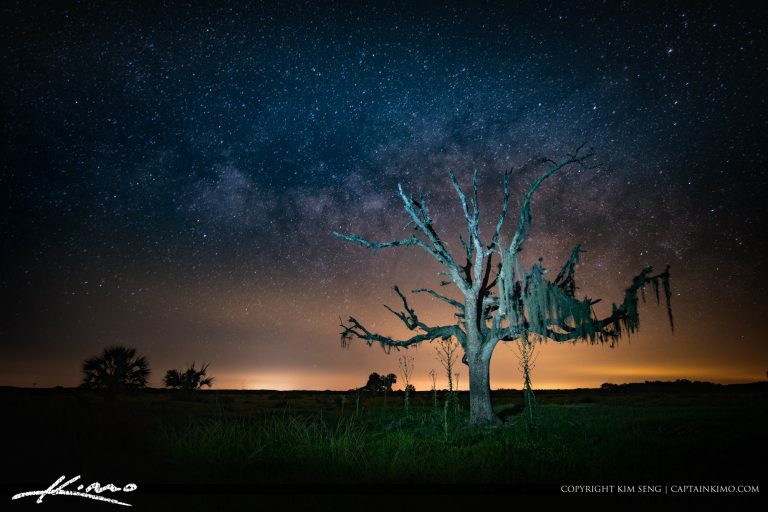 Old spooky oak tree with spanish moss under the stars at Blue Cypress Conservation Area in Vero Beach Florida. 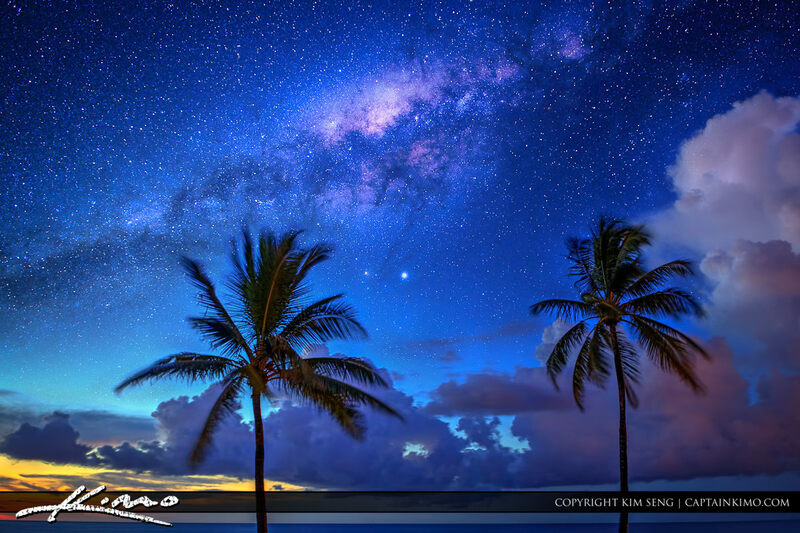 Image processed in Adobe Lightroom and Photoshop. 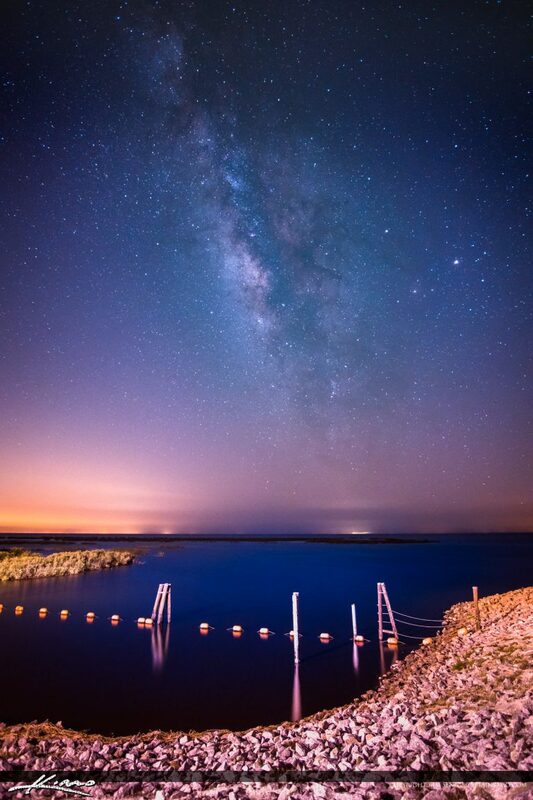 Photo of the Milkyway galaxy over Lake Okeechobee Florida t the dam. Photo taken with Samsung NX500 using a 12mm Rokinon lens. 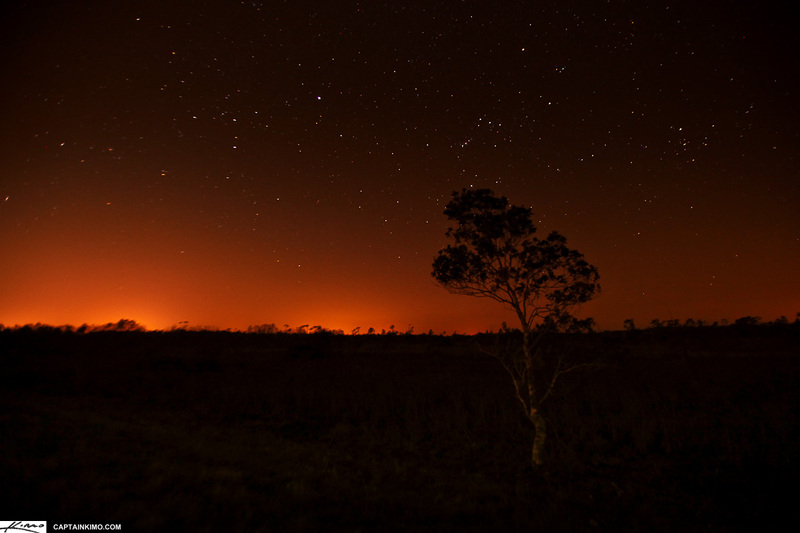 Camera settings f/2.0 for 15 sec at ISO 800. 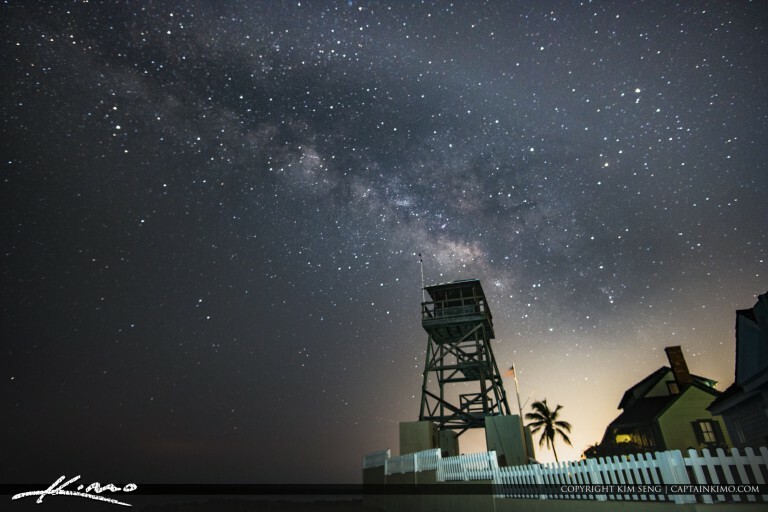 Early morning at the Refuge House with the Milkyway rising over Hutchinson Island in Stuart, Florida. 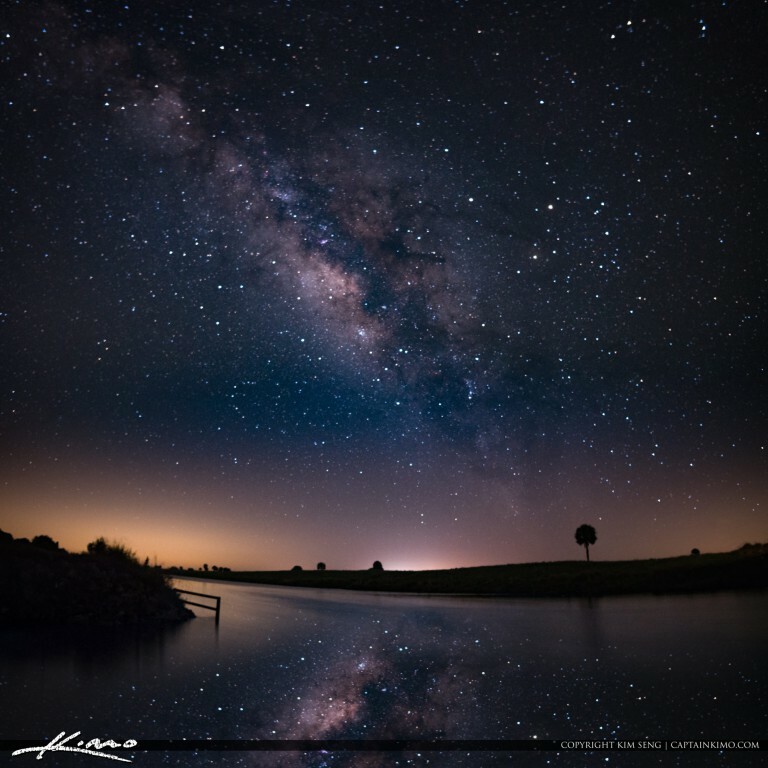 Image shot at ISO 800 f/2.0 at 30 seconds. 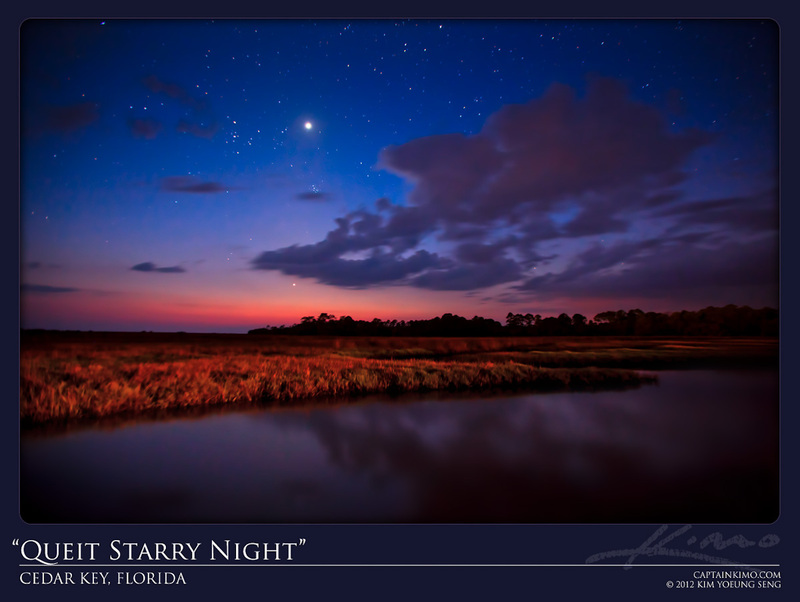 Beautiful night sky with stars over the wetlands in Jupiter, Florida. Image tone mapped using Photomatix Pro and enhanced with Topaz. 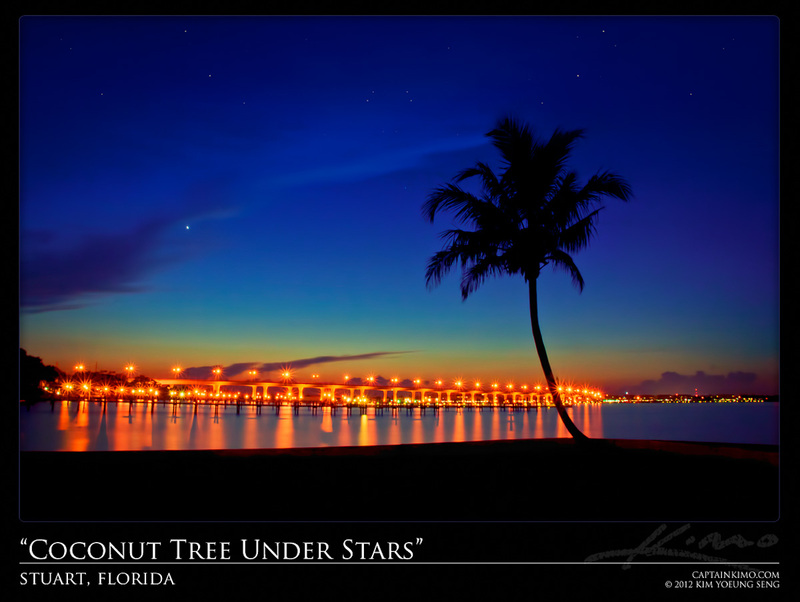 Single exposure tone mapped image from Photomatix taken at Stuart Florida of a Coconut Tree with the Roosevelt Bridge in the background. 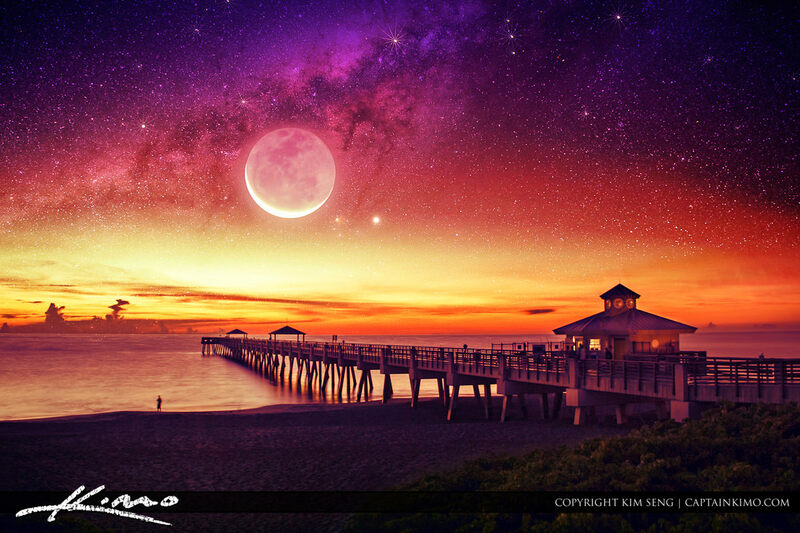 Topaz plugin used for denoise and color enhancement. 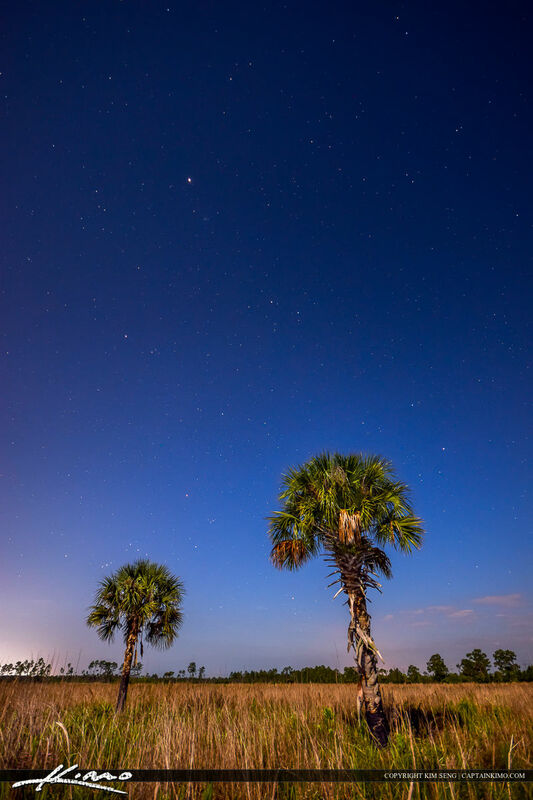 Single exposure taken from a Bayou in Cedar Key, Florida. Dynamic range image tone mapped in Photomatix Pro for color and contrast. 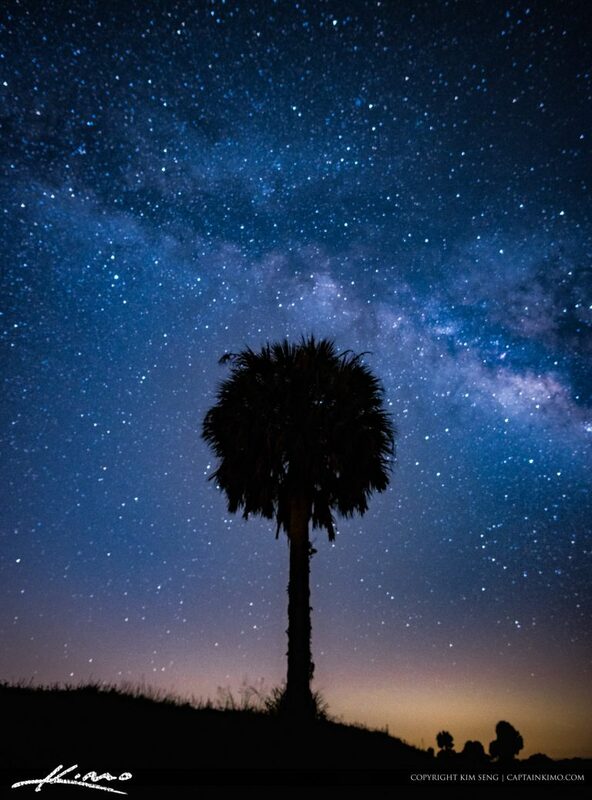 I couldn’t sleep last night so I drove out west to Hungryland WMA area to see how the MIlky Way looking. It wasn’t as spectacular as I was hoping but way better than being in the city. 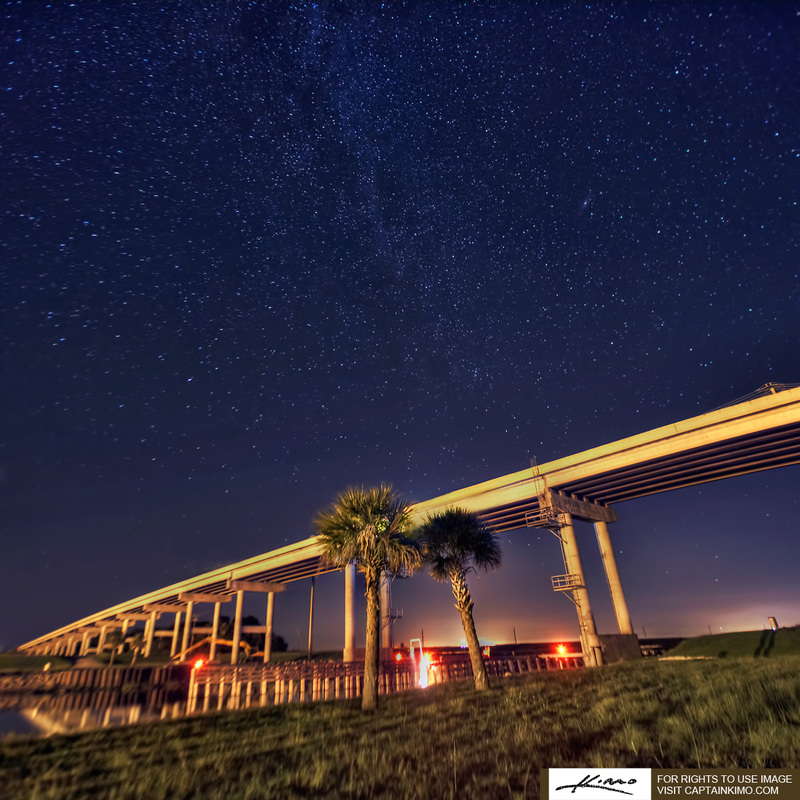 Single exposure HDR image of the Milkyway from Port Mayaca Bridge at Okeechobee Lake, Florida. Exposures tone mapped using Photomatix HDR software and Vertorama was created using Photoshop Photomerge tool. 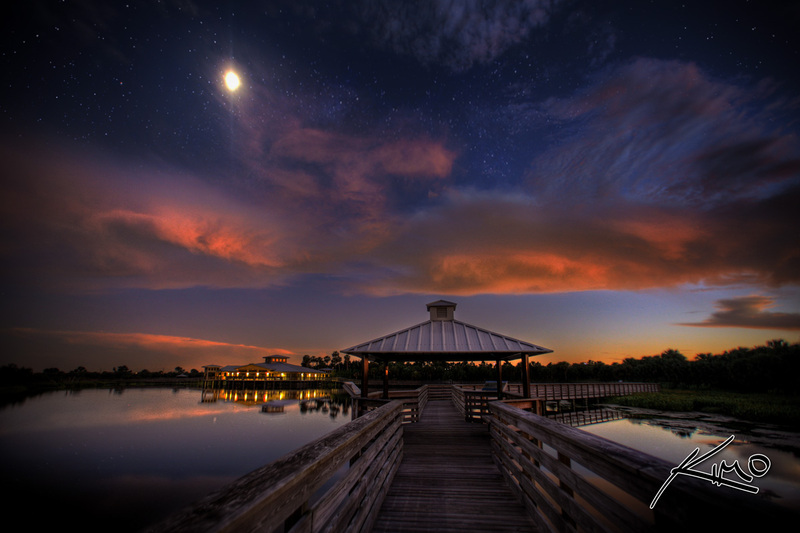 Shot this nighttime HDR while doing the sunset at Green Cay Wetlands. 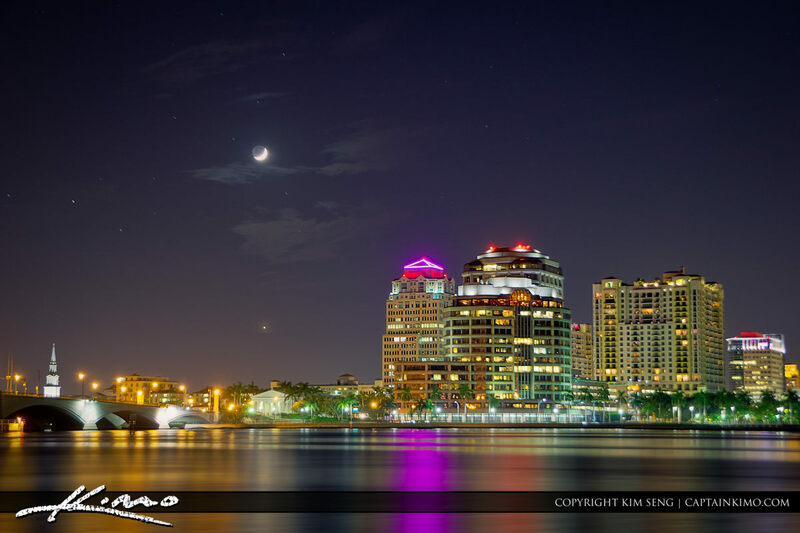 I’m beginning to love taking nighttime HDR photographs. So much different than what I’m use to shooting.